Ladies thank you so much for coming along. Lovely to see friends and meet new friends too. Janice and Kim did a grand job supporting us all day and Andy, I hope you re feeling better. Here's some fun pictures taken during the day of everyone beavering away, gluing, painting measuring and snipping their projects into shape. Don't they look fab. We all loved the colours in this collection. Mandy teamed hers up with some Typography papers too. A perfect match. It looks like its going to be a wet Guy Fawkes night tomorrow. Enjoy your bonfire parties if you're off to one. Ours is on Saturday Night at the Castle here in Kenilworth. Roads are closed across the town and thousands of people (over 20,000 last year) arrive, park and walk to the castle and the top of the park to watch the fireworks. 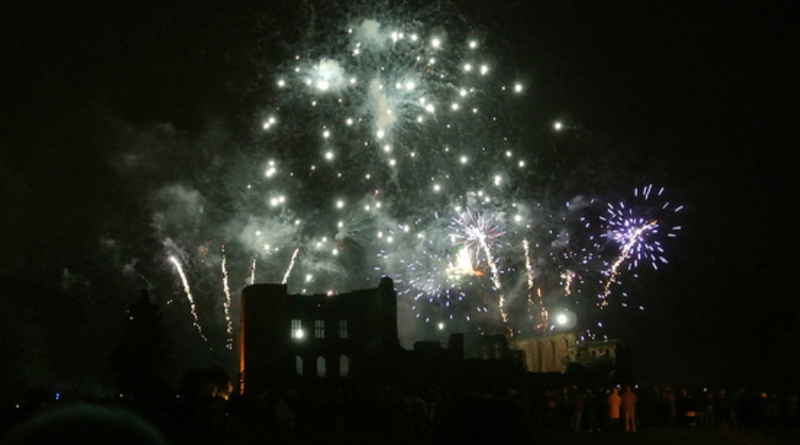 Its the 50th anniversary of the Round Table this year and the 27th Firework event at the Castle so its going to be a special on. Hats off to the Round Table who never fail to put on an amazing event and raise thousands for charity. Oh my what a fun time you girls have!! All the little cabinets look great and even though it was a bad day outside you all were just fine inside!! 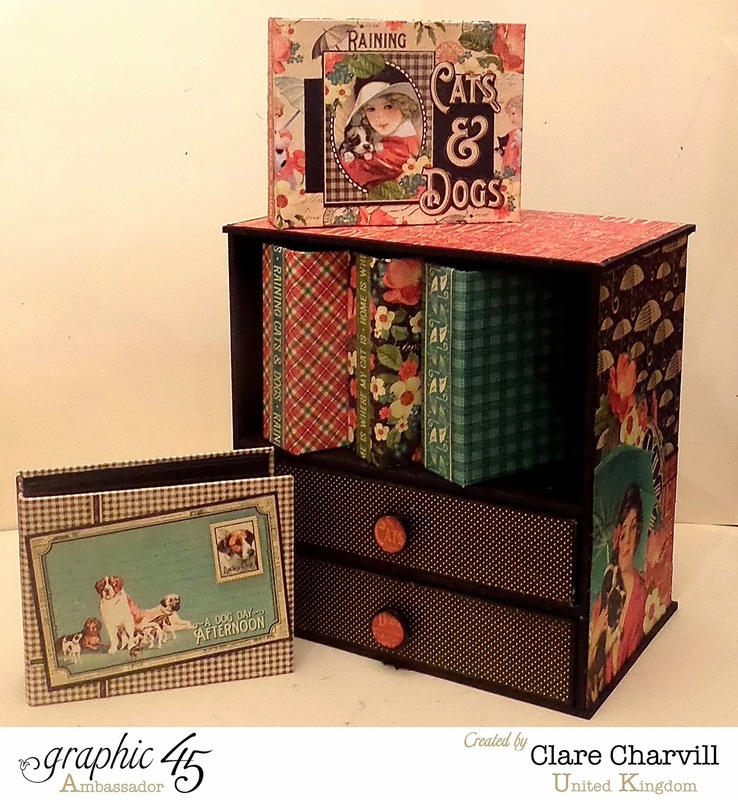 another stunning box clare with fab paper. 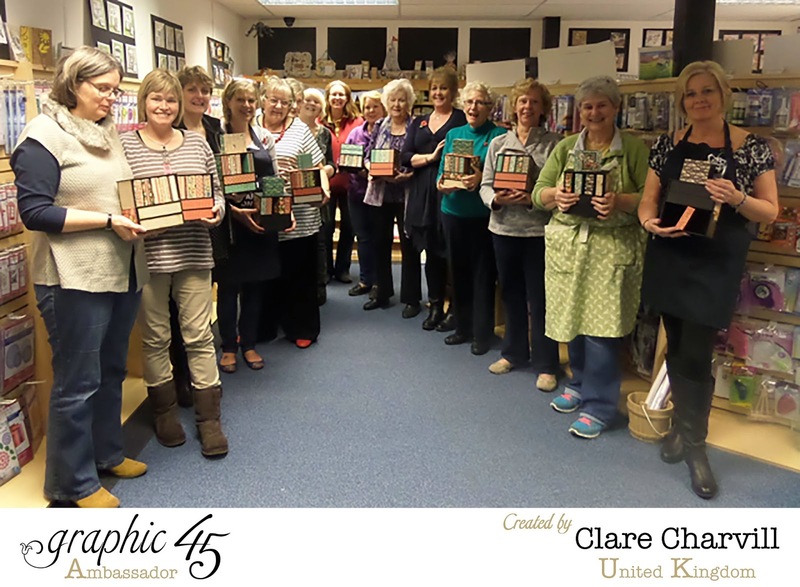 It was lovely to meet you on Sunday Clare. Thanks for the instructions, and the inspiration.